Southern Madagascar on this exceptional nature guided tour. DAY 1: TONGASOA ETO ANTANANARIVO! Antananarivo is the capital and largest city in Madagascar. It is buzzing with activity and full of people flooding the streets, selling everything you could imagine! Tana (as the locals call it) resembles a Mediterranean hill town and exploring its rich culture and architectural sites on foot is relatively easy (as long as you are willing to climb hundreds of ancient stone steps). It is a hectic city though and we would recommend a driver / guide if you want to explore. DAY 2: Heading to ANDASIBE NATIONAL PARK to experience our first encounters with lemurs! This morning we will set off to the Andasibe-Mantadia National Park (previously known as Perinet) where you will spend 2 1/2 days exploring this wonderful environment. En-route we will stop at a farm specialising in Madagascan reptiles and butterflies, before arriving at our hotel. Depending on time of arrival, this afternoon or tomorrow you will get a chance to stroll around the private island reserve of Vakona Lodge with the opportunity to spot plenty of lemurs. This evening, take a twilight/ nocturnal walk, looking out for the nocturnal species of lemur by catching their eyes in the torch light. The next 2 days will be spent exploring this region, including visiting Analamazaotra (Andasibe NP) and Mantadia National Park. Andasibe-Mantadia National Park (formerly known as Perinet) is a 155 square kilometer protected area, about 150km east of Antananarivo (approx. 3hr drive) consisting principally of primary growth forest. 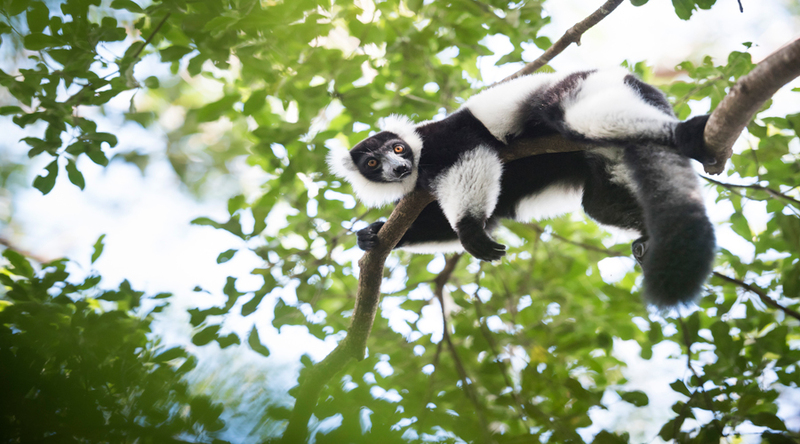 These are home to the teddy bear-like Indri, the largest species in Madagascar’ lemur species, as well as a total of 11 lemur species and a wide variety of bird life too. Listening to the piercing yet melancholy cry of the Indri in the morning is an evocative experience and for those who are prepared to follow them through the thick rainforest, the reward i often a close-up view of these beautiful creatures. This National Park was inscribed in the World Heritage Site in 2007 as part of the Rainforests of the Atsinanana. We will set off early this morning for a full-day journey to Antsirabe (via Tana). We will stop for lunch along the way. Before arriving in Antsirabe, tday will be a great chance to experience Malagasy life on the road. Antsirabe is a tidy, well maintained town which combines the tranquility of a small European provincial town with the exuberance of traditional Malagasy buildings. The third largest city in Madagascar, Antsirabe is known for its relatively cool climate (as the rest of the central region of the country), its industry and the high concentration of pulled rickshaws. We will set out after an early breakfast towards Ranomafana National Park. Our accommodation is located just outside of Ranomafana (just 10 minutes from the park entrance). This afternoon you have the option of visiting the thermal baths in Ranomfana or looking around the village which offers the most superb scenery. 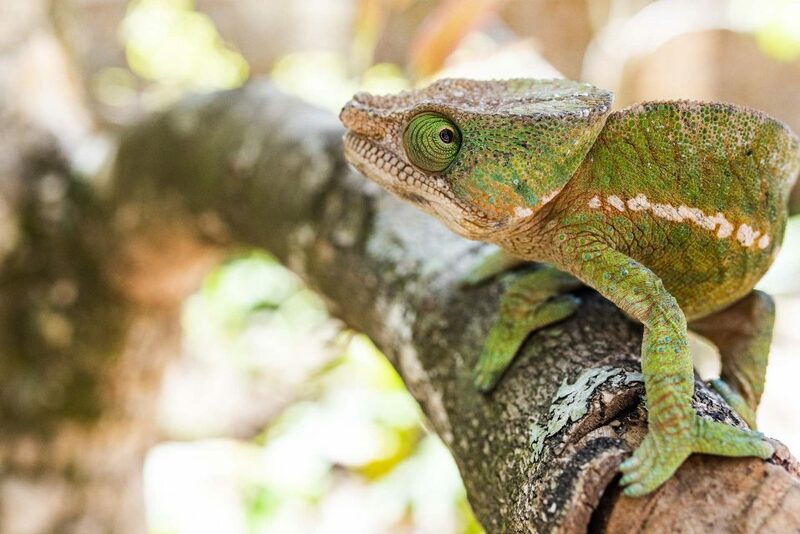 Two day offering you the opportunity to explore the enchanting Ranomafana National Park and search for lemurs on a full day nature walk through lush rainforest. Ranomafana is particularly rich and beautiful, a mountainous subtropical park which contains lowland moist forests, cloud forest and high plateau forest and is the home to a large number of lemur species (13 in total), as well as 118 birds and more than 70 amphibians and reptiles so is really a great place to see some of the unique species living in Madagascar. Lemurs include the Brown Lemur, Golden Bamboo Lemur and the exceptionally rare Greater Bamboo Lemur which is relatively easy to see in Ranomafana. Wildlife viewing is good all year round but is most productive from mid September to May. This morning we will spend a couple of hours rafting on the Namorana River inside the National Park before heading to Ambalavao. If time allows, you should get a chance to visit the vibrant town of Ambalavao before heading to your accommodation and taking some time to relax. Situated in tropical surroundings in the most southern part of the central highlands, near Fianarantsoa, Ambalavao is noted for its houses with wooden balconies with elaborate carvings and tiled roofs. It is also known for its lively cattle market on Monday and Thursdays on the outskirts of town where you will be able to see a large number of Zebu and herdsmen on roads. Seen as one of the most beautiful towns in the high plateaus boasting brightly painted buildings on the main street that look a bit like gingerbread houses. This morning we visit Anja Park, just a short drive from Ambalavao. Created in 2001 and located near Ambalavao, the Anja Community Reserve is a woodland area and freshwater lake, at the base a large cliff. Most of the reserve is dominated by fallen rocks and boulders but interestingly there are two small caves providing habitat for bats and owls. The reserve was created to help reserve the local environment and wildlife and is one of the more touristy places you visit, however is perfect for lovers of walking and wildlife and offers a unique occasion to interact with ‘wild’ ring-tailed lemurs somewhere between tamed and familiar! Today we will visit this breathtaking National Park. This extraordinarily unique area of natural beauty is unlike any other place in Madagascar. Included will be the opportunities to swim in a natural pool with lunch on the trail. Isalo is the park of the Big South and the most visited park of Madagascar. It is known for its exceptional landscape. The Isalo National Park protects over 81,000 hectars of widely eroded Jurassic sandstone massif. The grassy plains are surrounded by sandstone ridges. Most of the vegetated areas of the park are covered with dry grassland or sparse, low deciduous woodland, however near streams and in deeper canyons there are also ferns and feathery palm trees. Animal life isn’t the parks most prominent feature, but there are a few species to look for including six species of lemur (three nocturnal, three daytime) including the Ring-tailed Lemur and the White (dancing lemur) Sifaka. It is also home to approximately 55 species of bird including the rare Benson’s rock-thrush. Today we head to Ifaty and the Indian Ocean. We plan to stop by Zombiste National Park en-route. This south-western National Park is known for the huge variety of rare bird species as well as its unique diversity. Zombitse is home to 8 species of Lemur incluing the Verraux Sifaka (aka. the dancing lemur) and the threatened Fork-marked Lemur. The park also shelters 47% of the endemic birds of Madagascar as well as the local endemic Appert’s Tetraka bird. Zombitse boasts fantastic flora as well including orchids and ficus making this a stunning national park! Upon arrival in Ifaty, your driver and guide will leave you. Your time at the coast will be at your leisure. Facing the Mozambique Channel and the superb coral reef of Ifaty, less than 20km from Tulear, you will discover the beauty of beaches on the south-western coast of Madagascar, and is an ideal place to relax after visiting the central highlands. The beach is relatively narrow, but the (off shore) snorkelling and diving is good. In July and August, you may see migrating whales pass nearby through the Mozambique Channel. Between May and October, the humpback whales can sometimes be seen with their whale-caves. These couple of days can be spent at your leisure, experiencing what beautiful Ifaty and its surrounding areas have to offer. Just north of Ifaty you can find the Reniala Nature Reserve ‘Spiny Forest’, a remarkable habitat adapted to the heat and drought of the area giving it the resultant thorny and or bloated drought resistant trees and plants. The spiny forest inland from Ifaty are of great interest to birdwatchers and botanical enthusiasts alike. Here you will be able to see some very large iconic Baobab trees, an abundance of birds (a true paradise for ornithologists) as well as possibly some locally endemic species such as the Long-tailed Ground Roller and Sub-desert Mesite. This unique habitat is severely threatened by deforestation and by visiting these sites, you will not only enjoy some of the little remaining spiny forest in Madagascar, but also actively contribute to its conservation (the sites are currently not protected). A visit here can b organized by the hotel, and you can even travel there by pirogue- which we highly recommend. You will have a transfer to Tulear Airport, where you will catch the Air Madagascar flight from Tulear to Tana. We will meet you again at Tana airport and depending on your time of arrival, you can visit the handicraft market, before transferring to your hotel.